all those who practice it[ have a good understanding. Fundamentalist Christians, who use texts like Psalm 111:10 and Proverbs 9:10 to justify a fear-based approach that is both effective and damaging. I can’t tell you how many times I “got saved” as a youth because a preacher scared the hell out of me (literally) and sent me careening toward the altar convinced that God hated me. It’s important to remember that the only people Jesus scared were the uptight religious folks and authorities of empire; the fundamentalist wing of Christianity tends to do the opposite: apologize for empire and religious authority while putting fear into the common folks and ignoring the plight of the poor and marginalized. Progressive Christians, who use texts like 1 John 4:18 as proofs against fear having any kind of role in the Christian life. It’s common to hear progressives talk about their “conversion stories” (meaning their transition out of conservative Christianity) as a move from a “fear-and-law-based” faith to a “love-and-grace-based” faith. While I am sympathetic to this journey because it is similar to my own, the truth is that too often Christianities that are solely focus on “love” have such a Westernized, emotive view of love that it tends towards cheap grace and even pantheism. If God is love, and love costs nothing and elicits no response, then discipleship, worship, mission, evangelism matter little. Cultural Christians, who have neither fear nor love for God. 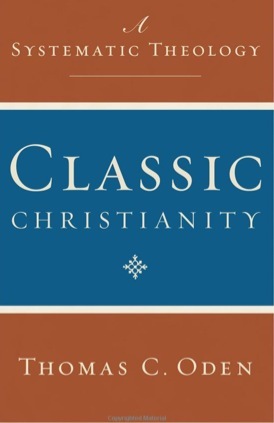 One significant strand of this is described well by Kenda Creasy Dean from Princeton as Moralistic Therapeutic Deism. Cultural Christians are those who identify as Christians but have no active relationship with God and/or a faith community; they may pray when the chips are down and go to church at Christmas, but day-to-day their decisions and actions are governed by something other than the Triune God. They have neither fear nor love for God, but might occasionally try to use God to get what they want. Just as it isn’t possible…for someone to cross the great sea without a ship, so someone can’t reach love without fear. We can cross the tempestuous sea placed between us and the spiritual paradise only with the ship of repentance, borne by the oarsmen of fear. If these oarsmen of fear don’t handle the ship of repentance well, by which we cross the sea of this world toward God, we will be drowned in it. 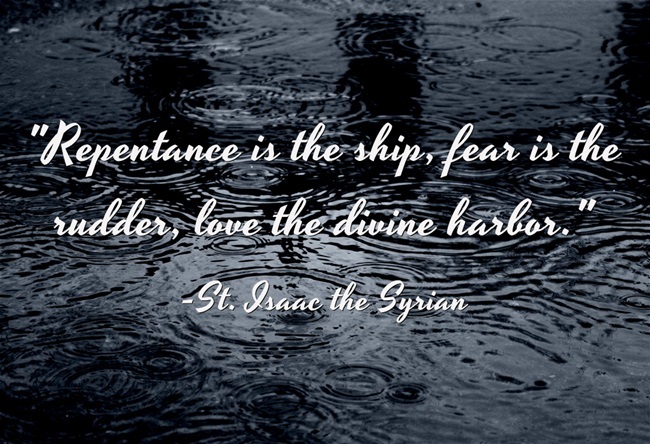 Repentance is the ship, fear is the rudder, love is the divine harbor. So fear puts us in the ship of repentance and we cross the tempestuous sea and it guides us to the divine harbor, which is love where all those who labor and have been enlightened by repentance arrive. And when we have reached love, we have reached God. And our journey has ended and we have reached the island which is beyond this world. I love the vision of the life with God as a journey. Like Bunyan’s Pilgrim’s Progress, Eastern spirituality reminds us that there are “many danger, toils, and snares” on the way to the full love of God. (3) A proper and holy fear of failing to reach “perfection in love” and thus the fullness of the life God intends to give us seems, as St. Isaac suggested, a part of our pilgrimage we cannot avoid if we would reach that harbor for which we were made. What do you think? Does fear have a role to play in our journey towards a full love of God? 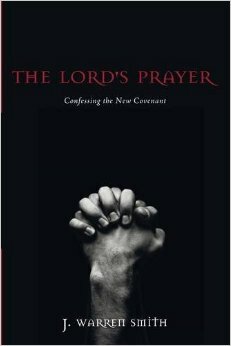 Are repentance and fear necessarily linked? How would you preach or teach this journey? I’d love to have your feedback below. Proverbs 9:10; Psalm 111:10; 1 John 4:18. 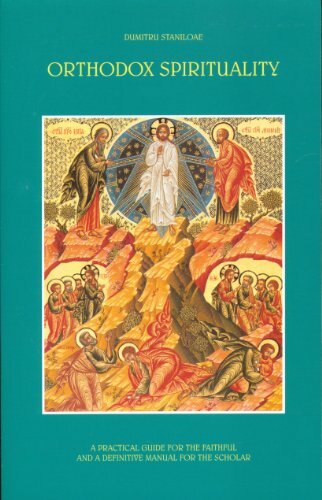 Staniloae, Orthodox Spirituality: A Practical Guide for the Faithful and a Definitive Manual for the Scholar (South Canaan: St. Tikhon’s Seminary Press, 2003), 140-141. 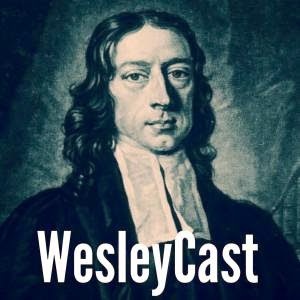 “Amazing Grace,” by John Newton. 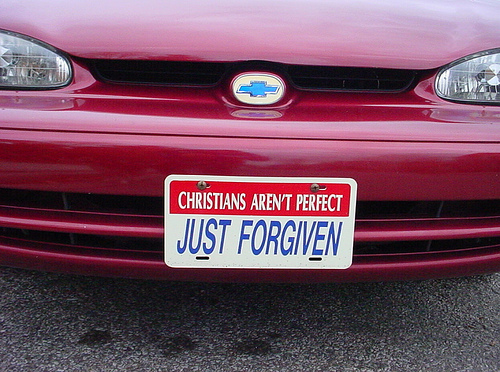 Theology Test: What’s Wrong With This Picture?